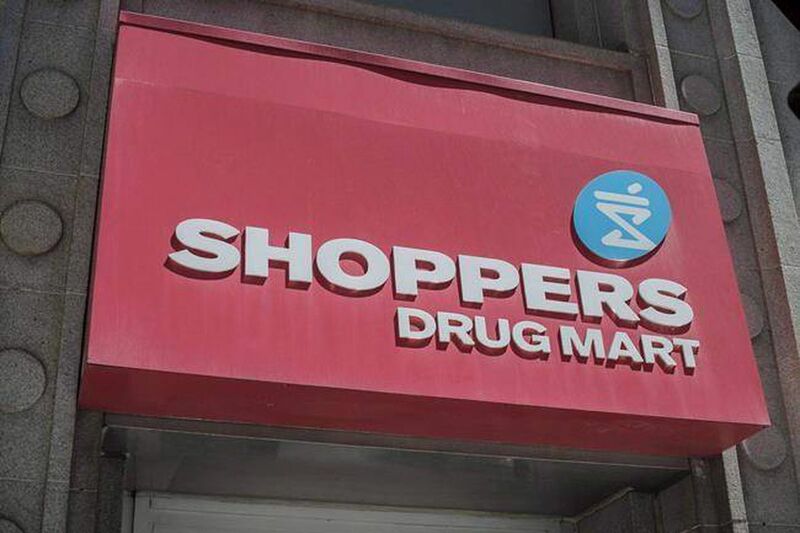 The logo for Shoppers Drug Mart is shown in downtown Toronto. Canadian cannabis producer Aphria Inc. has inked a deal to supply medical marijuana to Shoppers Drug Mart, the country's biggest chain of pharmacies. Aphria and Shoppers have signed a five-year agreement that will see the Leamington, Ont.-based grower become the "first and preferred supplier of medical cannabis" to the pharmacy chain, Vic Neufeld, chief executive at Aphria, said late Monday on a conference call with analysts. It's expected that Shoppers, which is owned by grocer Loblaw Cos. Ltd., will sell both dried bud and cannabis-infused oils to medical patients on the internet. Canadian regulations restrict the sale of medical marijuana in storefronts and pharmacies. The drug is sold today on the web and delivered to patients through the mail. Specific financial terms of the deal were not disclosed. However, Aphria says its deal with the Canadian retail behemoth will boost its revenue and help bolster its brand with both existing cannabis users and doctors, who may now be more willing to consider prescribing cannabis to their patients. "This is a big moment for Aphria," Mr. Neufeld said. "We have an opportunity to grow as Shoppers Drug Mart grows." Shoppers is currently seeking approval from Health Canada to become a licensed producer to be able to sell these Aphria-branded products to medical users online. There is no timeline for if or when the federal government might approve its application. But the Aphria deal is conditional on Shoppers getting its licence. The pharmacy chain says it doesn't plan on getting into the business of growing cannabis itself. Canada is on track to legalize recreational cannabis in July, 2018. Provincial governments have tabled various regulatory regimes that could mean pot is sold in either publicly or privately run stores. Aphria says it hasn't talked to Shoppers about supplying cannabis for recreational use. "It's all been focused on medical," Mr. Neufeld said. The company also has interests in the cannabis market south of the border, where the drug is legal in certain states but illegal federally. The future of its stock listing on the Toronto Stock Exchange is uncertain after the TSX threatened in October to delist companies if they are deemed to be violating U.S. federal drug laws.